I’ll be sharing tidbits from my CrossRoad sermon series here during the season of Lent. This series of sermons and posts emphasizes that the cross was not just the way Jesus died, but a new pattern for how to live. Followers of Jesus don’t just celebrate the CrossEvent; we embark on the CrossRoad. Enjoy! Let’s start with the big question, “What is God’s will for my life?” Rather than focusing on God’s particular will — e.g., Who I should marry? or Which career path to pursue? — let’s instead focus on God’s universal will for every Christian. According to Scripture, God’s will for all our lives is to “be conformed to the image of Christ” (Rom. 8:29). This means cultivating the character and conduct of Jesus. We tend to nod and agree until we encounter some of Jesus’ more radical teachings. We are happy to strive to “love our neighbor” and “Do to others as we would have done to us.” But we bristle and shrink back when Jesus commands us to “love your enemies, do good to those who hate you, bless those who curse you, and pray for those who abuse you” (Luke 6:27-38). We need to resist our tendency to shove such teachings away in some mental box in the back of our minds—a box we hope will magically go away if we ignore it long enough. I really want to be a church that embraces Jesus in all his undomesticated ruggedness. I want to lead a community of disciples who let all of his teachings have their way in our life. All authority has been given to JESUS. Jesus’ authority even surpasses the rest of Scripture. We’re not just “Bible People” at MainStreet perusing the Bible and selectively choosing Scriptures to prop up our beliefs. We are “Jesus People” who read the Bible in a Jesus-centered way. Go and make DISCIPLES. The Christian faith is about rugged apprenticeship to Jesus, becoming practitioners of his Way; and not just seeking conversions and a faith that is mere mental assent to certain beliefs. Teaching them to OBEY all I have COMMANDED. The gospel is the announcement that Jesus is Lord. We are called to childlike obedience to Jesus’ radical ethic whether we understand it or like it or find it realistic to apply in our world. We give Jesus authority to tell us how to live our lives. When we look at Jesus’ radical call to Enemy love and non-violent resistance, we may have to admit that this ethic may fail to “work” in this world to accomplish certain goals and agendas we have set for God to accomplish. I contend that Jesus’ purpose for calling his disciples to obey this radical ethic is to become the kind of people who accurately reflect the radically loving, non-violent and merciful character of God into the world. This purpose is stated at the end of his summons to his non-violent ethic: “But love your enemies, do good, and lend, expecting nothing in return.” Why? For by doing so “you will be children of the Most High; for he is kind to the ungrateful and the wicked. Be merciful, just as your Father is merciful” (Luke 6:27-38). I became convinced about 16 years ago that Jesus really means for us to take these seriously. More disturbingly, perhaps, is my conviction that these oft ignored or muted or commonly twisted teachings are actually at the very heart of Jesus’ message and the very foundation for the kind of Kingdom he came to set up on earth through his followers and embodied in the alternative society we call the Church. After years of playing it safe and staying “in the closet” on my convictions regarding Jesus’ radical non-violent ethic, for instance, I cannot keep silent and continue avoiding the contents of this box as I seek to faithfully guide this church deeper into the heart of Christian discipleship and witness. My convictions around things like Jesus’ non-violent ethic and call to Enemy Love seem to be as clear as any other teachings in the Bible. The more I study the New Testament, the more convinced I become that this call to a “cruciform” view of God and kingdom lifestyle is not some periphery issue, some take it or leave it proposition. I believe it gets to the very heart of the gospel and the Kingdom life we are called to embrace. So, we find ourselves as a church at a crossroads (forgive the pun) as I find myself at a personal crossroads as a pastor. I cannot and will not avoid tackling some of these teachings I have wiggled around in the past. I have often made slight gestures toward some of these teachings. I have regularly hinted at the ways Jesus’ kingdom values rub up against and challenge certain values of our culture and nation. But on the whole, I haven’t take n the time to introduce some of these core aspects of my thought in a clear and coherent way. 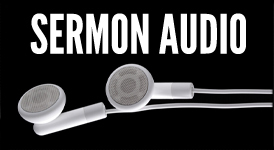 This CrossRoad sermon series is a first step in that direction. I have a couple personal requests as we navigate this key moment at MainStreet. First, will you openly embrace the journey of wrestling with some of the more radical teachings of Jesus? We don’t all need to arrive at the same conclusions and we will certainly disagree, at times, on how to practically live out Jesus’ radical ethic in the world. But can we all agree that if Jesus is Lord, then we need to take very seriously his last words “to obey all that I have commanded them” (Matt 28)? Second, will you extend grace to me as I fumble my way forward into what feels like new and scary terrain as a teacher? The church is the visible Kingdom of Jesus on earth called to be an alternative society amidst the kingdoms of the world (cf. Rom. 12:2). The Constitution of the Kingdom Society is the cross-shaped or “cruciform” ethics of Jesus (e.g., Sermon on the Mount). This ethic often challenges worldly wisdom and common sense. The cross was not just the way Jesus died, but the pattern for how Christ and His followers are to live! It’s not just a CrossEvent we celebrate but a CrossRoad we are to walk down. Each of these five are massively important and deserve teasing out one by one (which we can’t do now, though Three Taverns is designed for deeper dives like that). If one accepts these premises which I contend are well-grounded in the New Testament (and held by the vast majority of New Testament scholars today), they lead naturally to two bold critiques that can ruffle feathers. First, this gospel is about allegiance to a different kind of Kingdom and therefore critiques all other political allegiances. Thus, this Kingdom calls us to rethink the nature of our citizenship as Americans. Second, this gospel of the Kingdom offers a critique of the popular gospel many of us were raised with that limits the cross to personal redemption. This is a truncated gospel that doesn’t do justice to the full apostolic gospel of Jesus, Paul and the rest of the New Testament, and the apostolic teaching of the early church. While this may sound very academic and theoretical for many of us who are starting to doze off right now, we are dealing with some central aspects of Christian doctrine. Let’s shake out the sleep and rouse ourselves as we take the next steps down the CrossRoad. Are you with me? My next post will show how the disciples themselves had to undergo a radical transformation of mindset in order to grasp and follow the CrossRoad. We’ll look at Peter, James and John in particular, and how the Transfiguration experience they had on the mountain was part of the way God was preparing them for the CrossRoad.